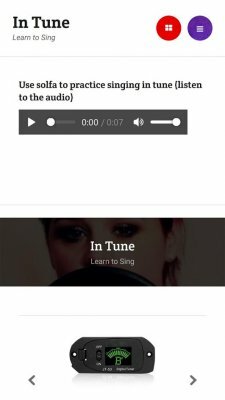 Summary: Do you love to sing and are looking for APP for learning how to sing? 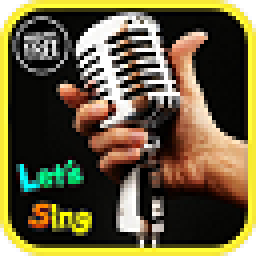 Do you love to sing and are looking for APP for learning how to sing? This is a practical course for anyone wanting to learn to sing. Learn how to sing like a pro in record time with these steps. I'll help you learn how to improve your singing voice. 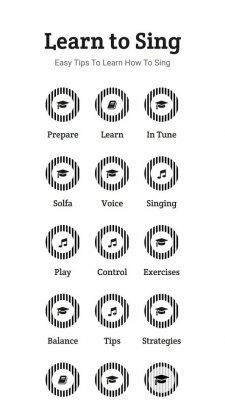 Features: How to Sing Better: The Best Ways To Prepare For Singing Lessons Can anyone learn to sing? How to Learn to Sing in Tune Learn the power of using solfa for your musical Good Voice Sing Tips Learn how to sing and play an instrument at the same time Vocal Control: and How To Improve Yours Singing Exercises to Improve Your Vocal Pitching What is Vocal Balance Beginner Tips How to Sing Better: Strategies Your Vocal Coach Won't Teach You How to Record Better Vocals: Home Recording Studio Essentials for Beginners The Ultimate Guide to Studio Headphones for Home Recording The Ultimate Guide to Microphone Stands for Stage and Studio The Best Pop Filters for Recording Vocals Image Gallery: An adaptable image gallery See your voice, hear the results! Each lesson has a explanation and a text description. Learn how to sing and improve your voice!